The format will be very similar to what we do for our annual Hassayampa day. Simply come out, hang out, and get some off-roading in before it gets too hot! Events and a map of the "base" camp will be announced at a later time. 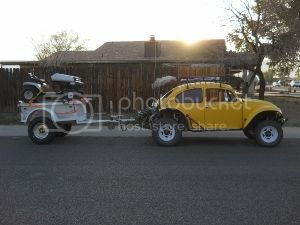 Let's get just as many cars out to Sycamore as our last Hassayampa run! Sounds Great JWH. The Junkie family should be able to make it. So in for this one. The 2nd of Feb might be a dune run, but Sycamore on the 2nd of March - IN! I'm not sure did someone say CAMPING???????????????????? I'll be there. Dalton must be really excited about camping!!! sorry ... my computer got stuck and I hit submit 4 times to see if it would come back... I meant to only say it once. Mine does that with AzBaja some days it is slow to post and I'm impatient and thinking I did not post it repost it. Watching this thread. Thanks guys. Thanks guys now I feel better!!!! 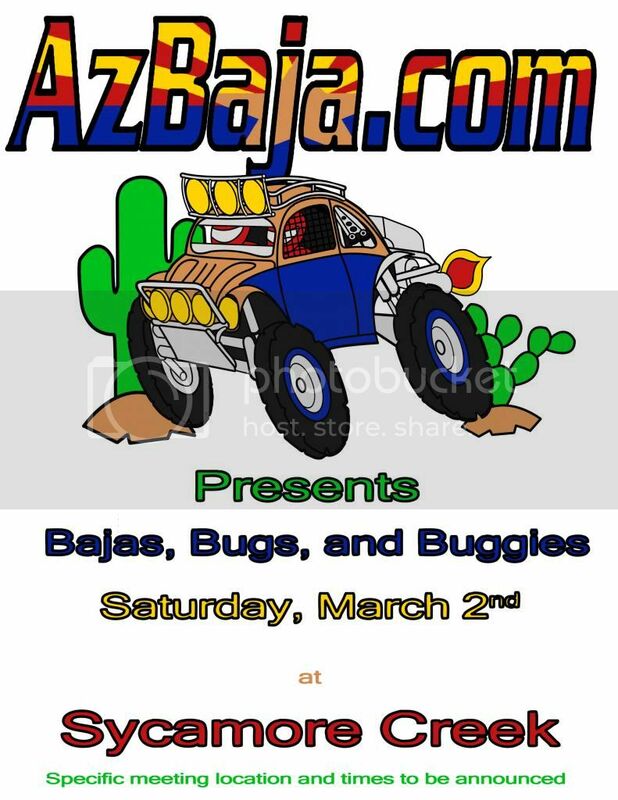 I have been known not to practice safe web surfing and I thought I might have picked up a virus.. Come to think of it, I only seem to have this problem when I'm on the AZ Baja site it must be when it has heavy traffic. In the future I will try to be more patient. I'm trying to work it out so that I can attend this event if I am to go and spend the money on the fuel I'm probably going to spend the night. I'm not sure Sycamore Creek is a good environment for my motorhome so I probably will be tenting it or camping out of my trailer. Don't know yet. I know that this time of the year the weather is going to be spectacular. [ Go to page: 1 ...	7, 8, 9	] 133 Mykul 154535 New to Bajas?